Congratulations! 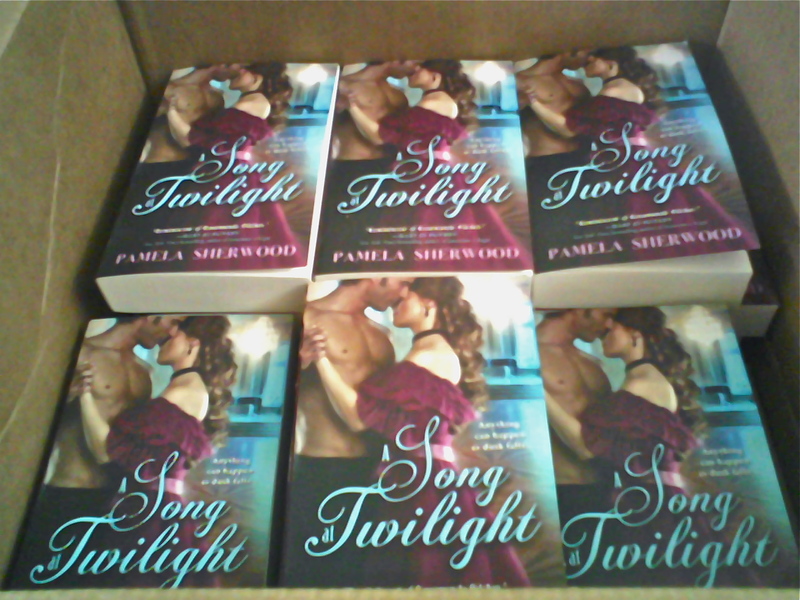 I am looking forward to reading “A Song at Twilight.” Personally I don’t take many risks–but I do with reading/books. Sounds like a great book! Congrats..risks are worth taking!! Thanks, Jennifer! I’d have to agree–risks are worth taking…at least when writing and craft are concerned. I love taking a risk on a new read. I absolutely love the cover. I’m always open to trying a new read too, Melody–and the cover has definitely grown on me! Thanks, Fatma! Taking risks help you grow as a writer, I think. Thanks, Gina! I enjoy reading about the writing process too. And I agree–books allow readers to take risks vicariously, which is much less nerve-wracking! I remember reading Waltz with a Stranger and wishing that I could read more. I love that book because both sisters had their happiness and I love the cover! I’m truly excited for A Song at Twilight. So glad that you enjoyed Waltz with a Stranger, Sandy! A Song at Twilight takes up the story about five years later–at least in the present day–and you get to see the Newbold sisters again and what they’ve been up to since their last appearance. I hope you enjoy Book #2 as well. A new-to-me author!!!! I’m excited!!! Always happy to provide excitement, Sheila! Welcome to the blog! Congrats on the new release! I really enjoyed Waltz with a Stranger, and I’d love to read this one as well! Thanks for the congrats! Glad to hear that you enjoyed Waltz with a Stranger. I hope you enjoy A Song at Twilight too.